Need a 15 seater minibus lease? 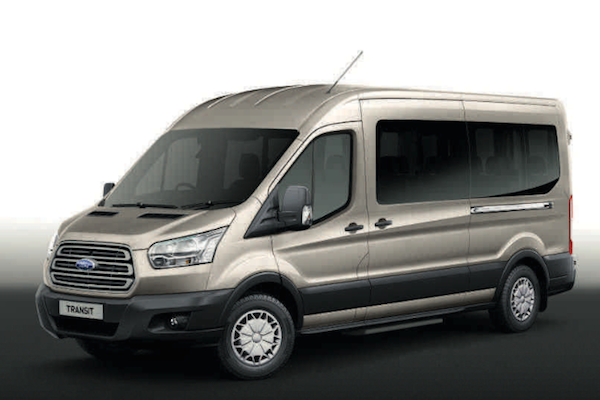 We supply 15 seat minibuses from all the main manufacturers such as Ford, Vauxhall, Renault etc. These minibus manufacturers have been developing and selling minibuses for years and are now providing bigger, roomier and safer versions than ever before. Our 15 seater minibuses can be leased with a choice of body lengths and seating configurations to carry up to 15 passengers and the driver. These minibuses cannot be driven under a normal B category car licence as the gross weight is above the 3500kg limit. Therefore they require a D1 or D1+E category car licence to drive on a non commercial basis. For 15 seater minibuses to lease without needing a D1 licence why not take a look at Minibus Lite. We can organise professional driver training courses for your leased 15 seater minibus. This ensures that the right staff have a D1 minibus licence, and help you through the examination and certification process. Remember, with our Minibus Lite, no D1 licence is required. Instead, the relevant staff can attend the thorough MiDAS training course to ensure they have the skills and confidence to drive Minibus Lite.